A new style for 2018, the Air Max 270 Bowfin opitimises Nike’s ethos of creating lifestyle footwear, but with a technical twist. 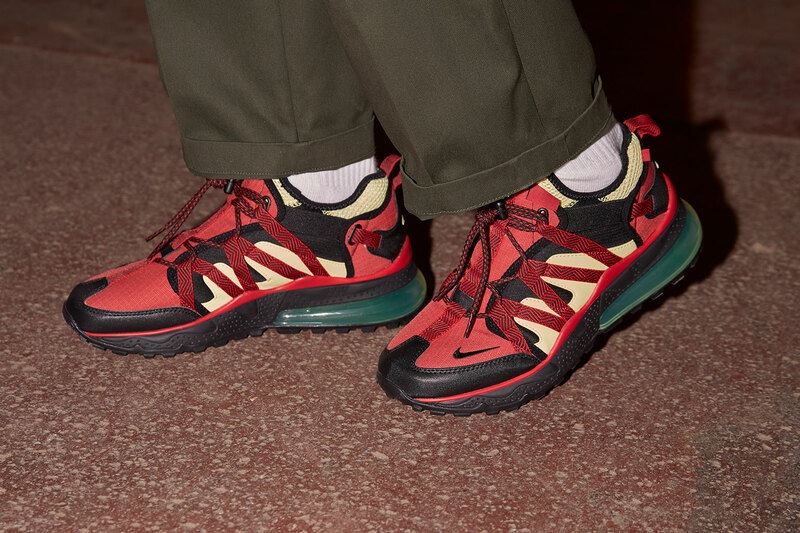 Referencing the brands outdoor heritage throughout the 90s, the Air Max 270 Bowfin features a nostalgic outdoor style upper, sitting on top of a contemporary 270 degree outsole. Drawing inspiration from revered outdoor shoes from the past, the Bowfin nods to several Nike ACG styles created under the watchful eye of designer, Peter Fogg. Combining elements of trail shoes (for added traction and durability), alongside modern fabrications, the 270 Bowfin features characteristics of classic outdoor styles such as the Okwahn, Air Humara and the eccentric Pocket Knife. The style propels the utility-inspired look into the present-day with the addition of Nike’s ultra-modern, aggressive Max 270 Air unit. Featuring an elasticated sock-liner for easy entry and added comfort, the first colourway to release uses black as a base colour, with accents of red and yellow which feature on the tongue, sidewall and midsole. Branding is featured with the addition of yellow and black mini swooshes positioned on the heel and toebox. The 270 Bowfin also utilises clasp-style overlays, and a ‘Utility’ pull cord lacing system for added tech and support, finished off with a contrasting green 270 visible Air Unit, adding to the overall unique aesthetic. 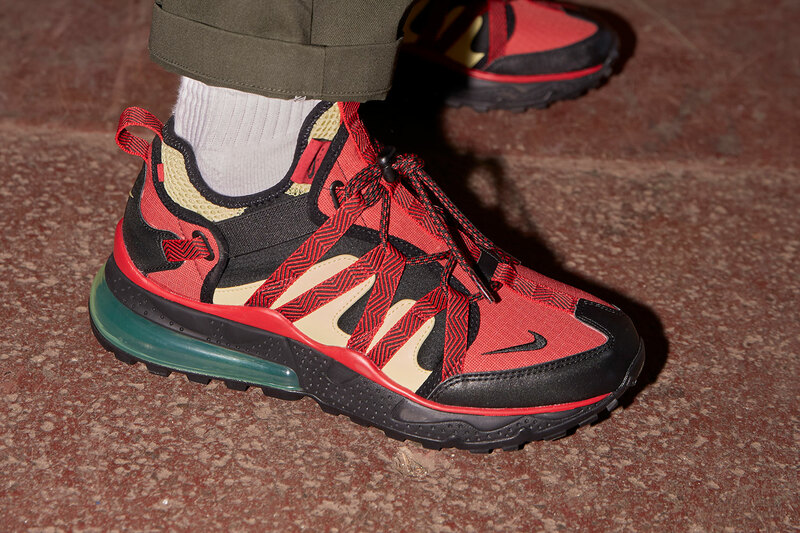 The Nike Air Max 270 Bowfin ‘Red/Black’ will be available online and in size? stores from next week, keep an eye on our social channels for more information.